A field visit in Cedar Falls, Iowa at an in-furrow research plot in late June yielded consistent results. We looked at 3 sets of corn plants. One being the control (far left), the second set (middle) was treated with our SP-1 and Even Up, and the third set (far right) was treated with Even Up, SP-1, and Renewable Farming LLC’s WakeUP Spring. Notice the third set on the end. It was treated with Even Up, SP-1, and WakeUP Spring and has a more aggressive root system as well as a larger stalk diameter, allowing the plant to gather and utilize more water and nutrients. Associated with larger ears, larger stalks help the plant move and process nutrients efficiently. Which set would you rather have growing on your farm? Since 2008, growers in Ohio have seen a 23.3 bushel/acre increase using our organic liquid starter program. 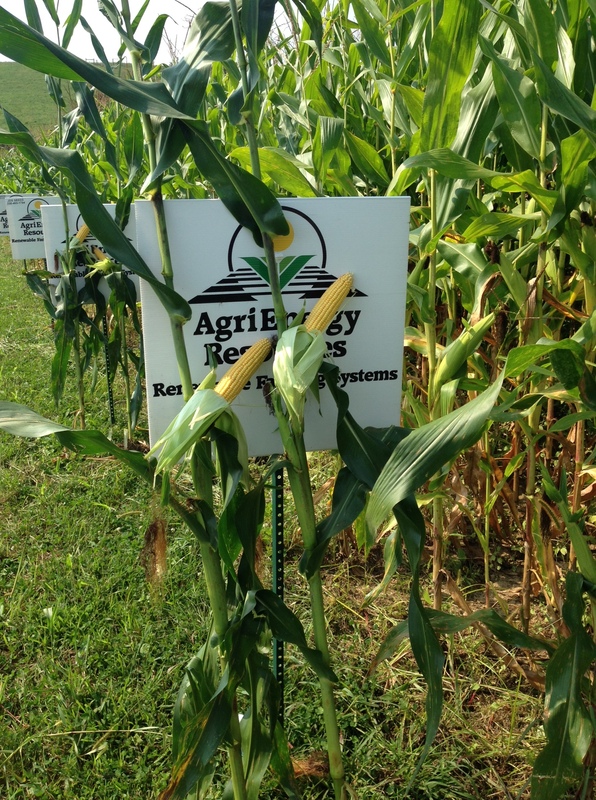 For the last eight years, John Daniel Schlabach, of Orrville, Ohio has seen a steady increase in bushels/acre when using Myco Seed Treat (MST), SP-1, and PKT Blend on his organic corn starter trials. Over the years, he’s seen a 2.7% decrease in moisture, and in this year’s plot, the plants with starter had less lodging and higher grain test weight. Comment below if you’d like to know more about MST, SP-1, or PKT Blend. We’d love to chat with you! Some of you may have it figured out. Some of you may still be learning. 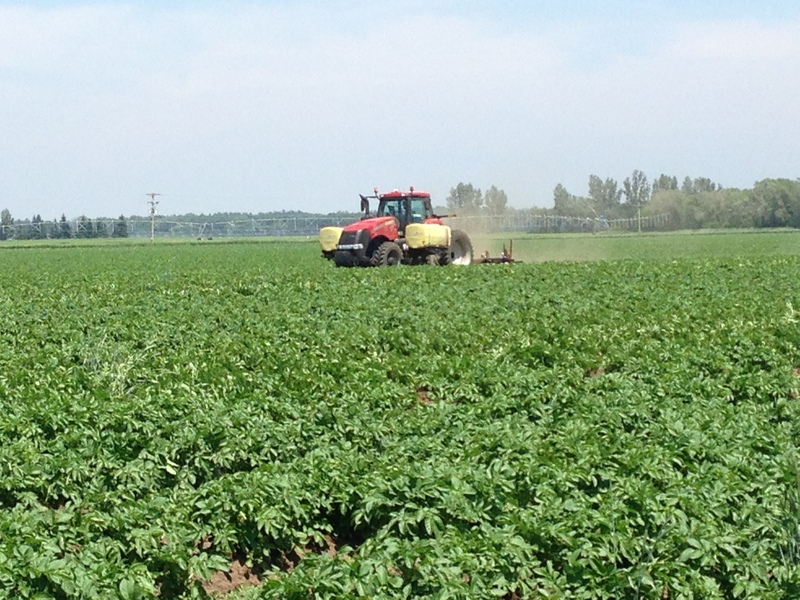 Either way, check out this organic potato field from one of our customers in Wisconsin. He is hilling for the 2nd time and is using SP-1, Dramm ONE, and Endurance Plus. Notice how clean this field is – no weeds and very low insect pressure. And what few beetles are there, he plans on zapping with Entrust. This is what we like to see! Potatoes the size of grapefruit? Yep, you read that right. Homegrown potatoes the size of grapefruits. Just the other day, we got word from one of our customers in Illinois that they just harvested the best potato crop they’ve ever had. They’ve been gardening for years and this is the first year their potatoes were the size of grapefruits. So, how’d they do it? What’s the magic potion? Well, they changed one thing. SP-1 is a diverse blend of beneficial bacteria, fungi, algae, enzymes, carbon substrates, vitamins, minerals, and nutrients to support growth of soil microbial life, which in turn converts soil nutrients into forms which plants can take up. Not only does it give small-scale producers the competitive edge in crop production, but large-scale producers as well. In this particular case, our customer used it in the garden, which in turn enhanced soil microbial diversity, cycled stored nutrients to the plant, converted free gaseous nitrogen from the air and soil into a form the plant could utilize, and amplified the effectiveness of fertility blends prescribed through soil analysis. In fact when we were testing in our own lab, the treated seed pushed the lid clear off our petri dish just four days after “planting’ as compared to the untreated seeds that were just beginning to grow their initial roots. At planting time, SP-1 can be applied in-furrow or 2X2 along with fertilizers. There are also several options of application during the growing season including broadcast, side-dress, foliar, drip-line, and fertigation. So, perhaps, the secret to growing the biggest crop to date is no secret at all. Perhaps, it’s just tweaking current management tactics to include that of SP-1.